Now that summer is here and you’re running your air conditioner every day, you probably have a good idea of whether or not it is working as well as it has in years past. If it doesn’t seem to be pushing out as much cold air as it used to or it’s making strange noises, it’s probably time for an HVAC service from an experienced HVAC company like Blueox Energy in Oxford. Call us today to make an appointment for air conditioner repair and service! While we’re happy to come out and service or repair your air conditioner whenever you need it, we recommend an HVAC service agreement to all of our customers for several reasons. First, it will save you money, and second, because it will make sure that you don’t get stuck roasting in a hot summer house or freezing during the winter. Read on to find out why these recommendations are a good idea. Setting up an HVAC service plan with Blueox Energy saves you money in more than one way. A service plan is less expensive than a one-time call, especially if the one-time call happens over the weekend or outside of normal business hours. More importantly, a service agreement allows a highly skilled and highly trained HVAC technician to regularly inspect your heater or AC unit for any problems that might be on the horizon and fix them before they cause your unit to stop working as efficiently or to break down altogether. 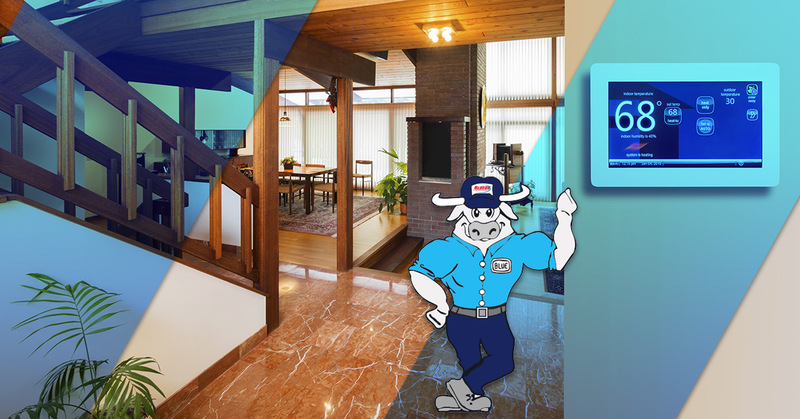 When you set up a service plan through Blueox, we will come to your home or business before the winter and the summer to check on your furnace and AC unit to ensure that once it is time to turn it on, it will work safely and efficiently. By having these services completed before the weather gets too hot or too cold, we’re allowing for enough time for extra service, repairs, or replacements if they’re needed. If your furnace or air conditioner does need to be repaired or replaced, we have many great options for you. Our HVAC techs are skilled at fixing any unit that you already have or we can install any new system. We highly recommend the Mitsubishi ductless heaters and air conditioners. They’re great because they are easy to install, they don’t require you to install or retrofit any ductwork, and they’re incredibly energy efficient, pumping out consistent heat and cold air. Contact us at Blueox Energy today if you need any help with your HVAC system. We have experts ready to fix or replace your air conditioner or furnace to make sure you stay comfortable year round. We also offer great, low prices on fuel oil and kerosene for your business or your home. Our fuel oil delivery drivers are ready to be dispatched right away. Our convenience stores offer great prices on diesel and gasoline. We believe in being your one-stop shop for all of your energy and HVAC needs.